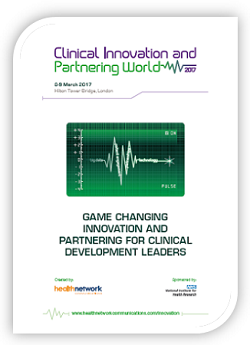 The Clinical Innovation & Partnering World 2017 will provide innovative solutions to the challenges faced in conducting clinical trials for pharmaceutical products. Address the key strategic and operational considerations vital in driving change in clinical development. Designed with a TED-style format, clinical development leaders will learn about the game changing technologies and processes that are currently being developed and used that will revolutionise trials and ensure that the best treatments get to the market with speed and efficiency.